Our Gas Station Injury Lawyers and Convenience Store Accident Attorneys regularly advise clients and their loved ones after they are injured. However, in the course of those discussions, the personal injury lawyers at the Wolfson Law Firm can explain what the clients should do if it happens again. If you want to know more about what you should do if you are injured in a gas station convenience store, then call our attorneys at (305) 285-1115 for a free consultation. As licensed Florida lawyers and counselors, we are here to serve the community. So if we can answer your questions and help you out, we would be grateful for the opportunity. What to Do After You Are Injured at a Gas Station or a Convenience Store. Talk to the manager or person in charge. Probably the worst thing you can do after any kind of slip and fall or trip and fall injury is to just leave. Look at it from the store owner’s point of view. Someone calls and says they were injured in the gas station two days ago and that is the first time they ever heard of it. It would be natural to be suspicious at the very least. So if you are hurt, tell the manager, the assistant manager or even an employee. Get their names. Tell them exactly what happened. Show them the problem if you can. If you need emergency medical help, ask for fire rescue or an ambulance. Try to remember the 5 “W’s” – who, what, where, when and why. Incident reports should be requested. 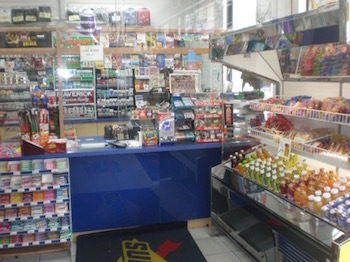 Most gas stations and convenience stores have safety policies and procedures in place. They know what to do to prevent injuries and what to do when someone gets hurt. Stand up for yourself and ask for an incident report to be filled out. Ask that the manager or employee write down what happened and to also take your contact information. Ask for a copy even though they are not required by law to give you one. The point here is to establish proof of your accident. You do not want to be in the position of having to prove that the accident happened. If you don’t have proof, then it is unlikely that any negotiations will take place. You will most likely need to hire a premises liability lawyer and file a lawsuit if you have any hope to recover reasonable compensation for your medical bills, lost wages and your pain. Get medical help. The second worst thing you can do for your personal injury claim is to wait to go to the doctor, urgent care or emergency room. Insurance companies always look for how long it took the “allegedly” injured claimant to get medical care. If you don’t get treated fast enough, then the insurance companies will question your injuries and damages. Of course, if it suits them, they may also question the quality and quantity of your medical treatment. But there is no reason to make the insurance adjuster’s job easier. If you are injured, get help. The Miami personal injury attorneys at our firm have seen many cases where a client was much more seriously injured than they originally thought. In addition, by getting medical care and treatment, you are also documenting your injuries which will help you in the long run in resolving your case by settlement or jury verdict. If there are witnesses, do your best to get their names and phone numbers. In this day and age, you can just ask for a witness’s phone number and name and just text them your name. Although eye-witness testimony can vary because of perspective, it is better to have witnesses. Friends and family can be helpful witnesses, but independent witnesses are more beneficial. So if there are witnesses, ask for their help. If you are a witness, then offer your assistance. What goes around, comes around. Use your cell phone for all its worth. It has been said that our phones today contain more technology than the first astronauts had when they first landed on the moon. So use it to help yourself. Take photographs and videos of the scene. Ask your friends and family to help. You can even ask a nice employee to assist. Don’t forget this either – after you go to the doctor, the hazard or danger that caused your injury is going to be cleaned up or fixed. After that, it becomes difficult to prove your case without photos or videos. Look for or ask if there are surveillance cameras. Most gas stations and convenience stores have surveillance cameras to prevent shoplifting and to provide evidence of criminal acts. But those same cameras can be invaluable for your case. The key is to make sure the tapes do not “disappear”. If there are tapes, your gas station and convenience store injury lawyer can send a letter to the owner and insurance company demanding that they preserve the evidence. Once that letter is received, the tapes will either be preserved or else the defendant store owner suffer legal consequences that your Miami personal injury attorney can explain in greater detail. Save your medical bills, proof of lost wages and receipts. You will need all the documentary evidence you can gather when it comes time to seek reimbursement. Generally, if it isn’t on paper it will be hard to recover. A good Miami personal injury lawyer can help you coordinate your documentation. Consider contacting a qualified personal injury attorney in Miami. Common sense tells us that property owners and business operators are not simply going to give you money if your get hurt. In fact, nearly all convenience stores and gas stations have insurance policies. When there is an insurance policy, then insurance defense lawyers are not far behind. So if you want to represent yourself in your claim then you are free to do so. But if you want to level the playing field, then it is highly recommended that you consult with a good personal injury lawyer in Miami. The Wolfson Law Firm in Miami has helped people injured in gas stations and convenience stores throughout Florida for more than six decades. Our Miami Personal Injury Lawyers can help you and your family if you were injured through the negligence or intentional acts of another. Just call us at (305) 285-1115 for your free consultation. If you decide to hire us, you will owe no fees unless we recover for you.